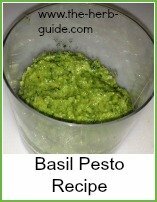 Freezing basil is really simple. 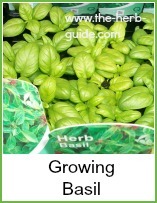 You can grow it indoors, but some people aren't very 'green thumbed' and so buy fresh growing herbs at the supermarket. Sometimes, even with the best of intentions, the plants keel over and begin to wilt. There are good reasons for this, which aren't always your fault. I bought this specimen - it was marked down and I couldn't resist the bargain! I use a large poly box to keep my frozen herbs in - label them before you put them in as they all look very similar when they're frozen. 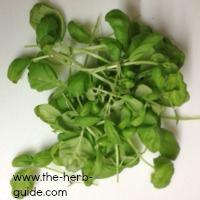 You can use frozen basil straight from the freezer in soups or pesto. This basil plant was on offer at the supermarket. As you can see, it was a bit past its best. I wasn't going to use it quickly, so I decided the best bet would be to freeze it. 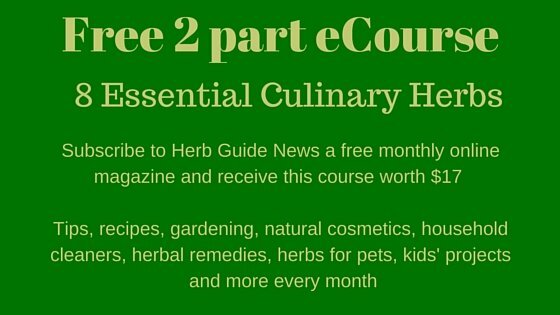 The first step to freezing herbs is to cut the stems off the plant. I took this down to the bottom of the stalks using a pair of kitchen scissors. 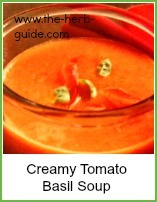 I use it mainly for pesto or tomato soup and sauces. It's always chopped or processed, so the stalks don't matter. 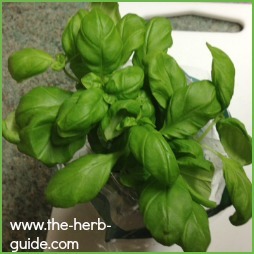 The basil plant was very small and I only got around 25g (1 ounce) off it. I split it into two small plastic bags. Each will be enough to make a pesto or add to tomatoes. 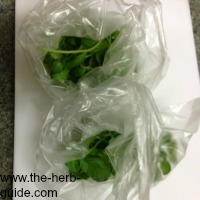 Before freezing, squeeze the air out as much as possible then tie the bags. Be careful not to crush it - when I defrost it, I can normally find one or two leaves to garnish if I want to. When you use it, you can either add it straight from the freezer or allow it to defrost. 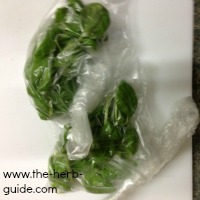 It's so easy to freeze basil. Here are simple step by step instructions with photographs. You can use it straight from the freezer in recipes.